Schmutz the dog is our new favorite pet. 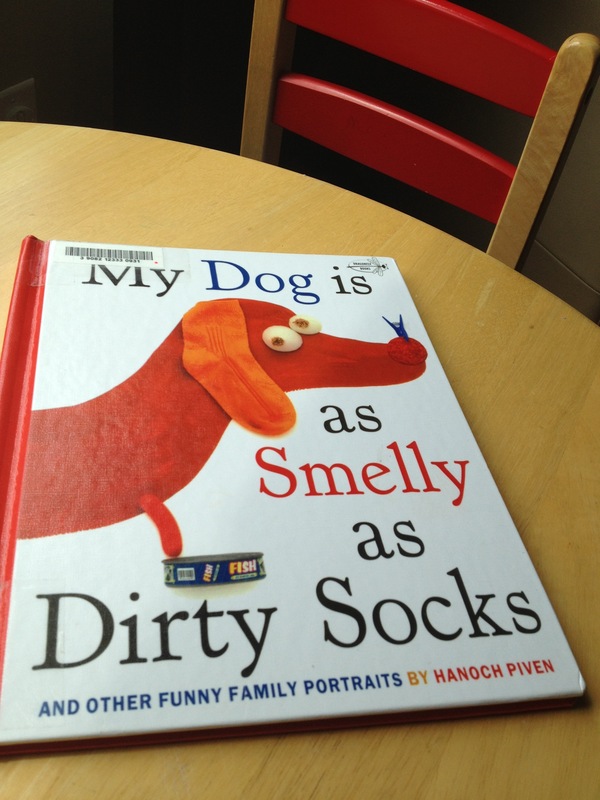 He looks like our doggies, smells like our doggies, but lives in a book on the activity table. 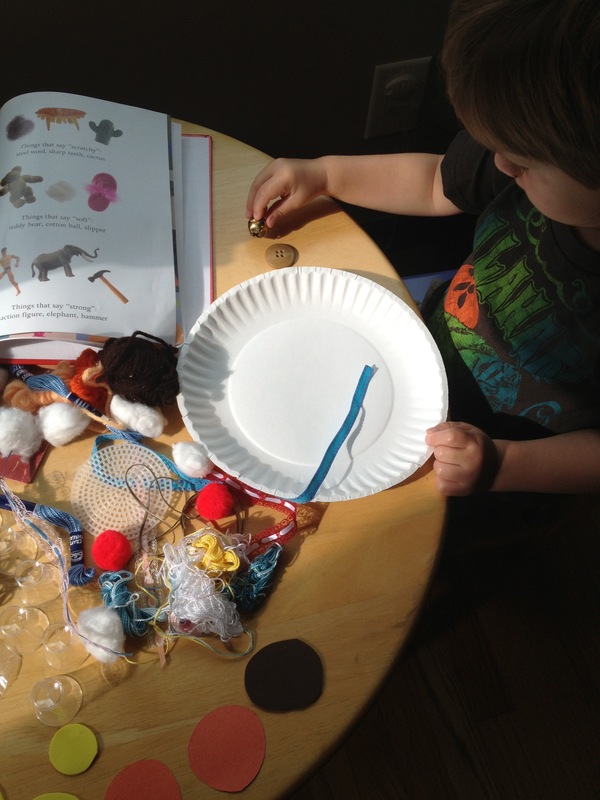 He’s inspired us to get bits and baubles from our craft trunk and create some of our own family portraits. Covering the table with our pirates booty of treasures we laid out the book for inspiration. Once we decided our base would be a paper plate we squirted glue where the necessary body parts would be adhered and discussed the function of those parts (eyes for seeing, nose for smelling, mouth for tasting). B was deep in thought as I started using scissors to cut strips from some yarn and ribbon. 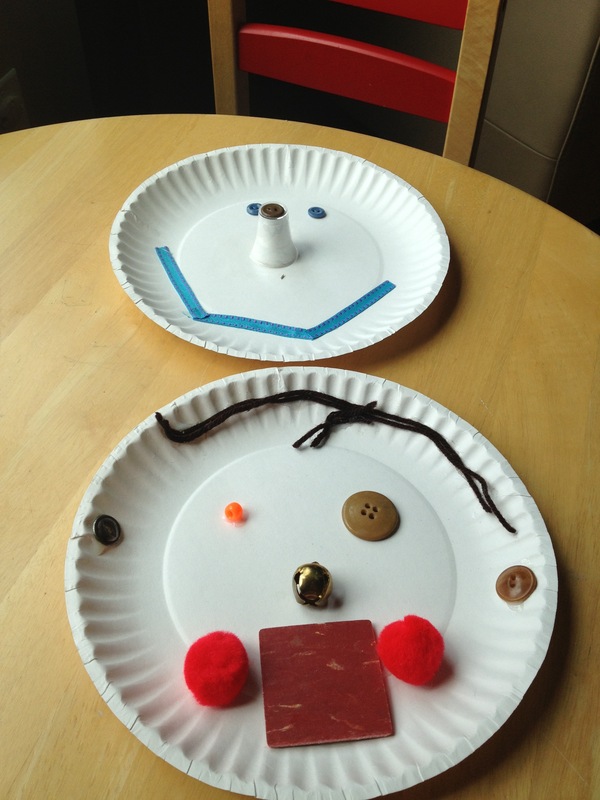 This entry was posted in At Home and tagged book club, indoor activity, preschool craft, story time, toddler. Bookmark the permalink. B is cute and going to be a fine little artist.